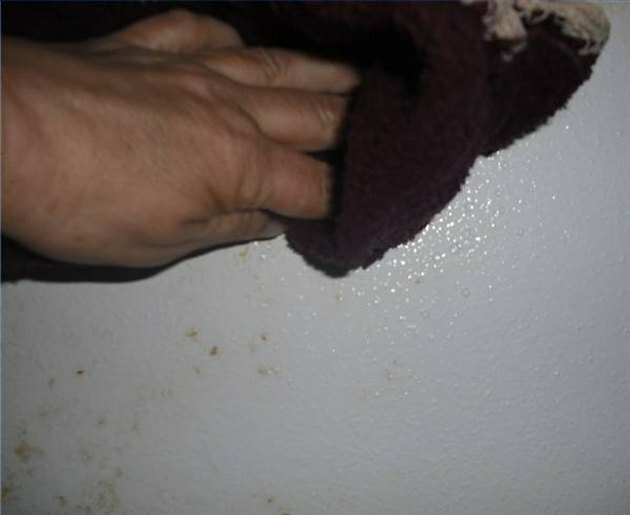 Brown spots that show up on bathroom walls or ceilings after showers and baths are mold or mildew caused by condensation. If left unattended, the spots will eventually spread throughout the entire bathroom. 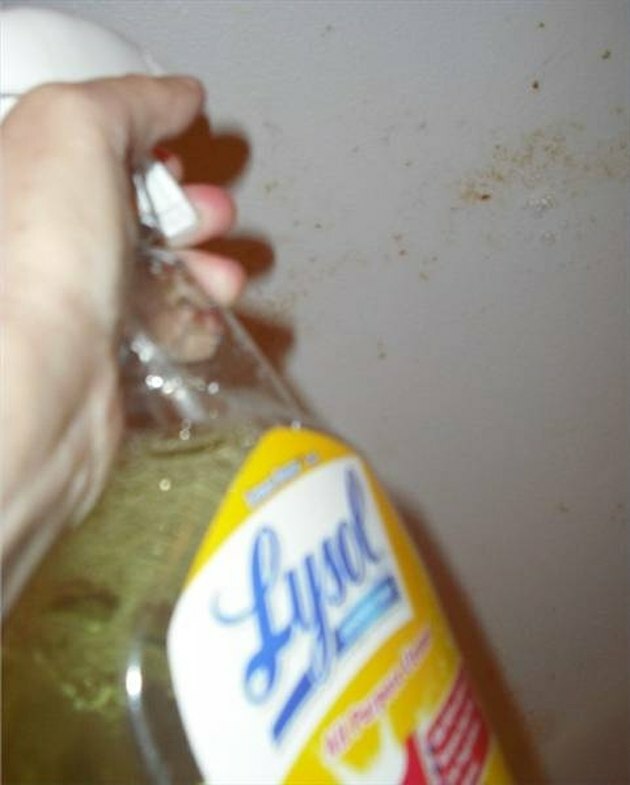 Spray Lysol on the wall. Spay the brown spots generously with Lysol. The disinfectant will kill the mold and mildew. Scrub the area with a wet rag. 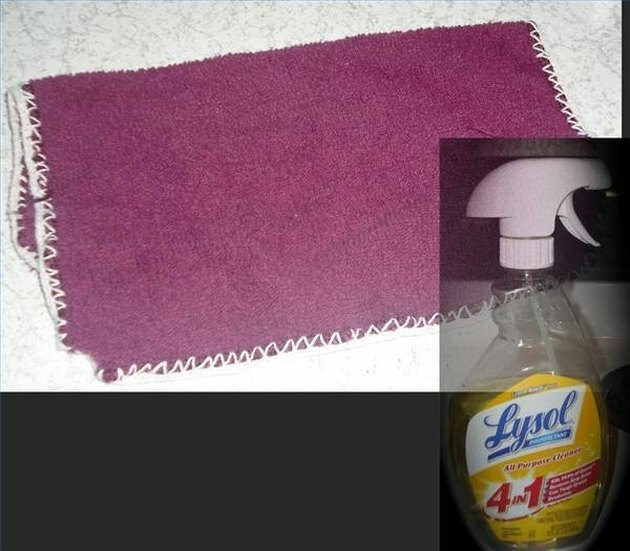 Wipe the area with a wet rag to remove the brown spots. Repeat the process at the first sign of new mold. To prevent future brown spots, open the bathroom window(s) while taking a shower or bath. A well-ventilated bathroom will accumulate less condensation. Install a ceiling fan for ultimate ventilation. 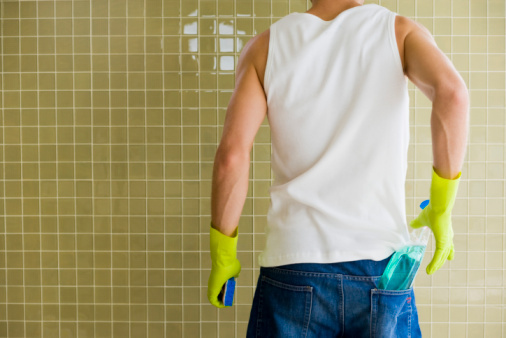 Consider painting your bathroom with a paint designed to kill mold and mildew for a more permanent fix.